Introduction; 1. Activities using no facilities; 2. Activities using blackboard only; 3. Activities using pens and paper only; 4. Activities using blackboard, pens and paper; 5. Activities using other resources; References; Annotated bibliography for limited resource situations; Index according to facilities; Index according to language practice. Resource for busy teachers who need lessons which are easy to prepare. 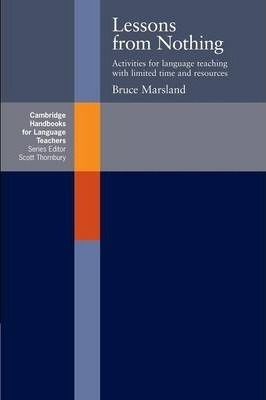 The book contains 70 language teaching activities.